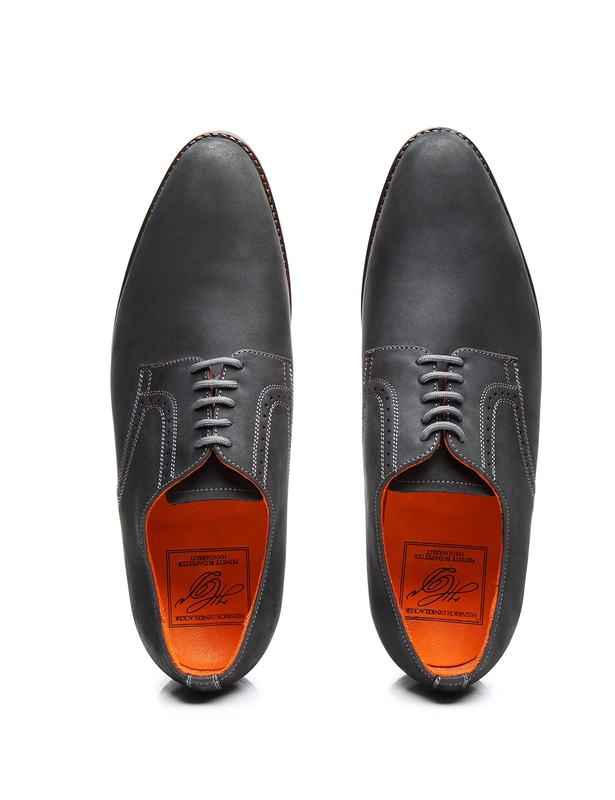 In addition to pairing beautifully with formal attire, sewn-welted, handcrafted Derby shoes are also wonderful for sporty, elegant clothing. 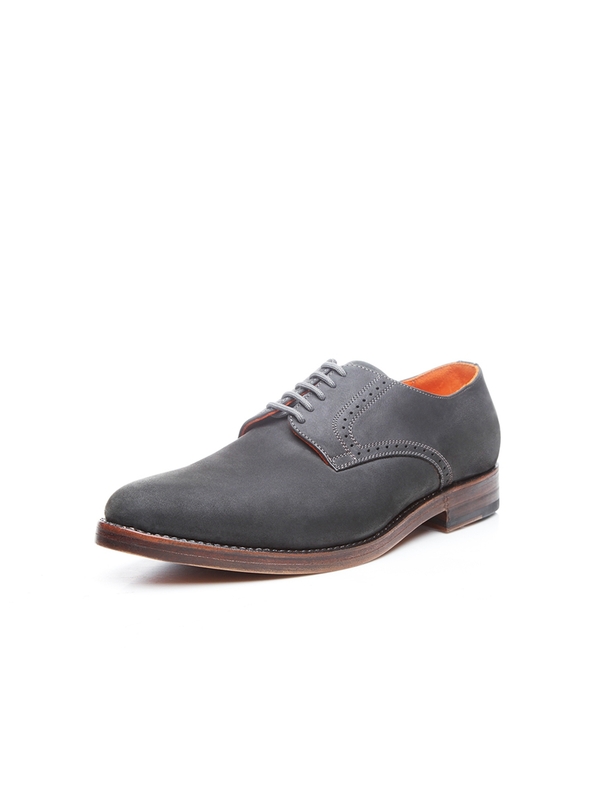 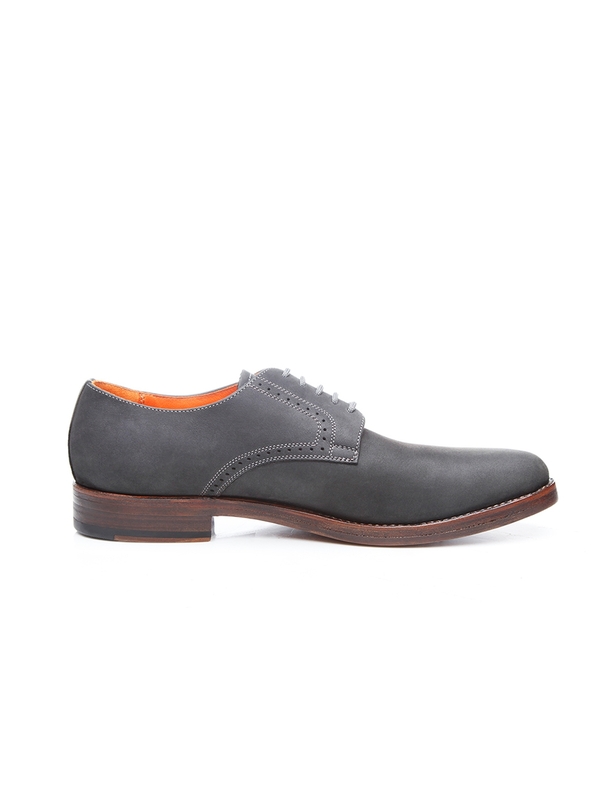 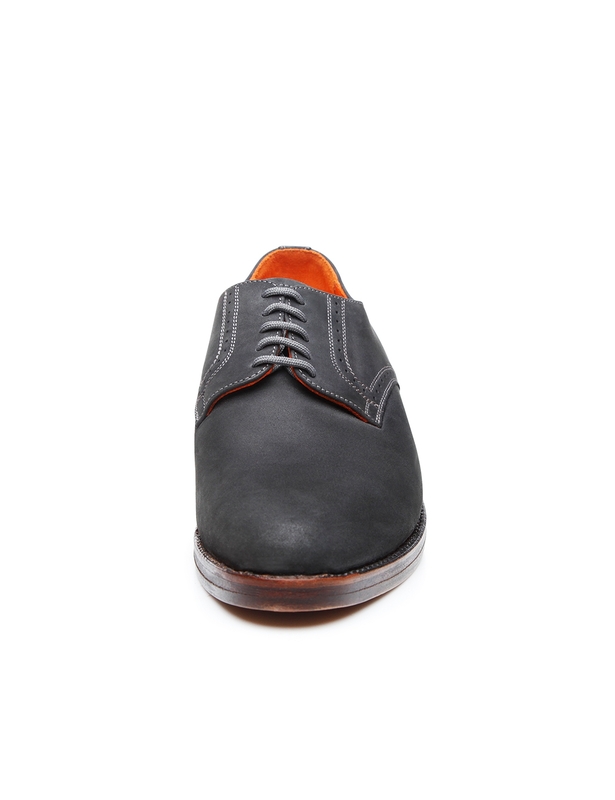 This subtly decorated classic shoe is a perennially popular Derby with open five-eyelet lacing. 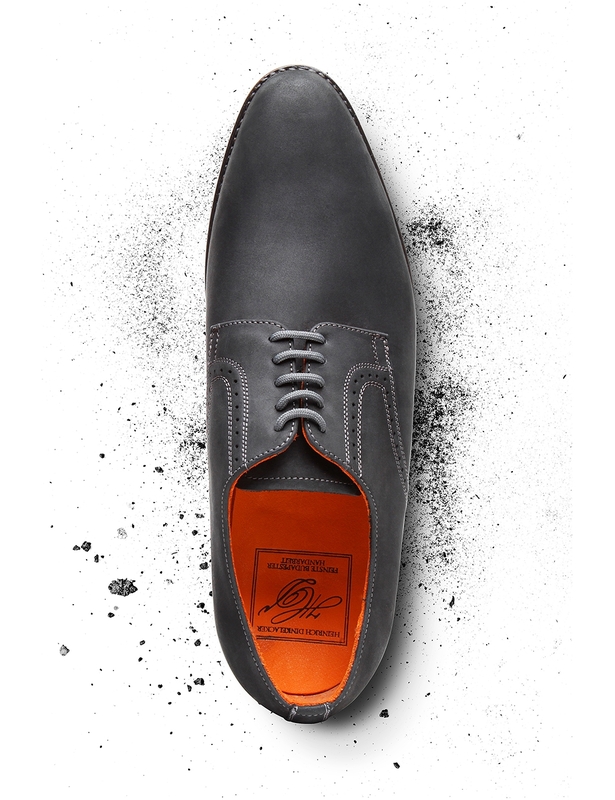 The material used to make the upper — water-repellent, greased nubuck with a sporty look — lends this shoe a modern feel. 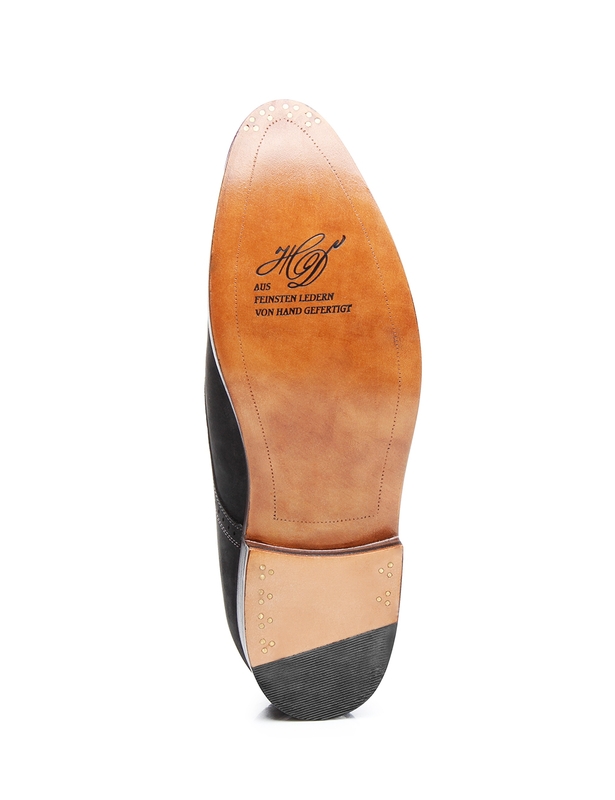 This rough leather’s high fat content makes it impervious to soiling and moisture. 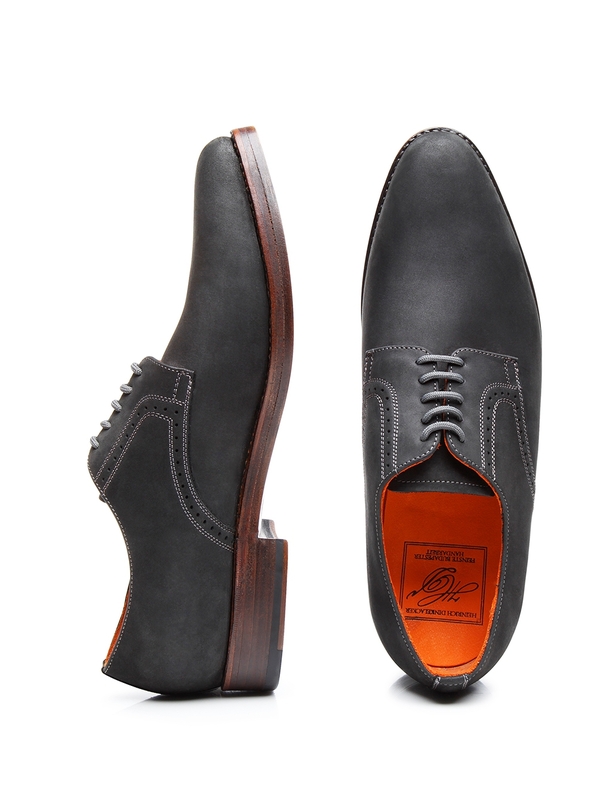 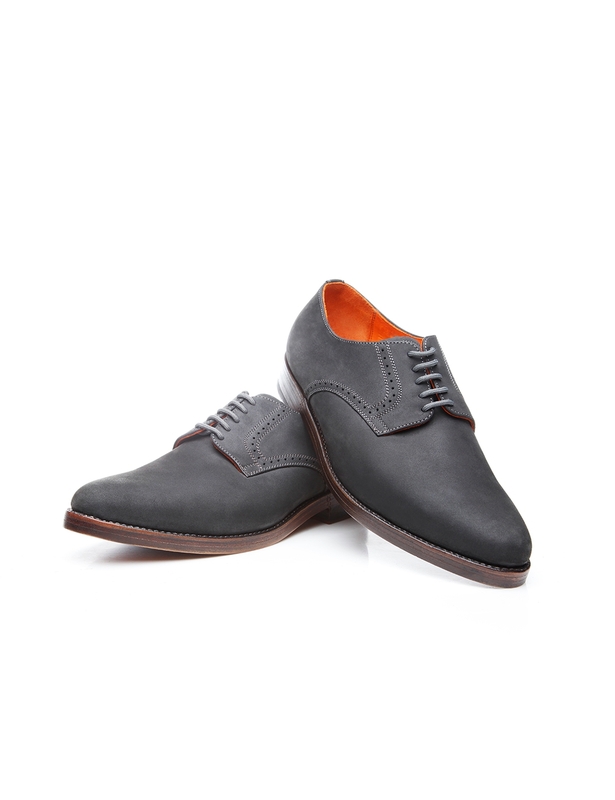 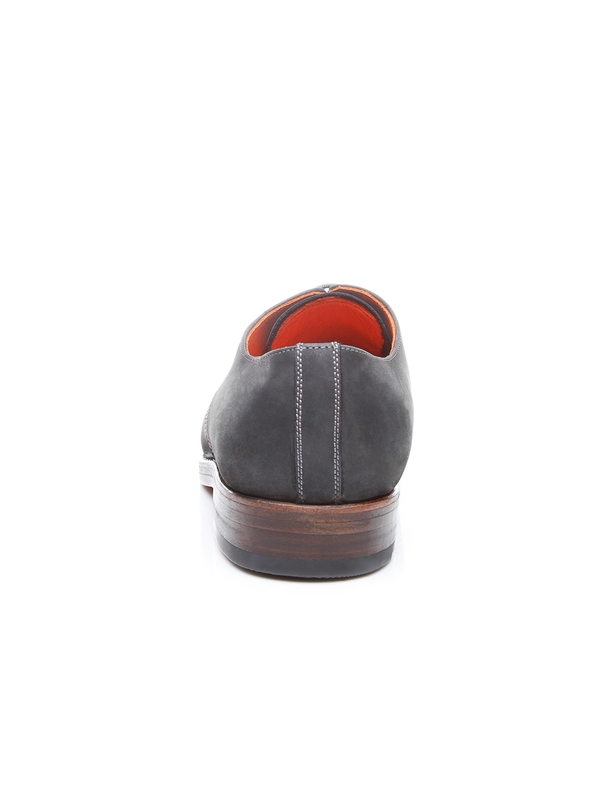 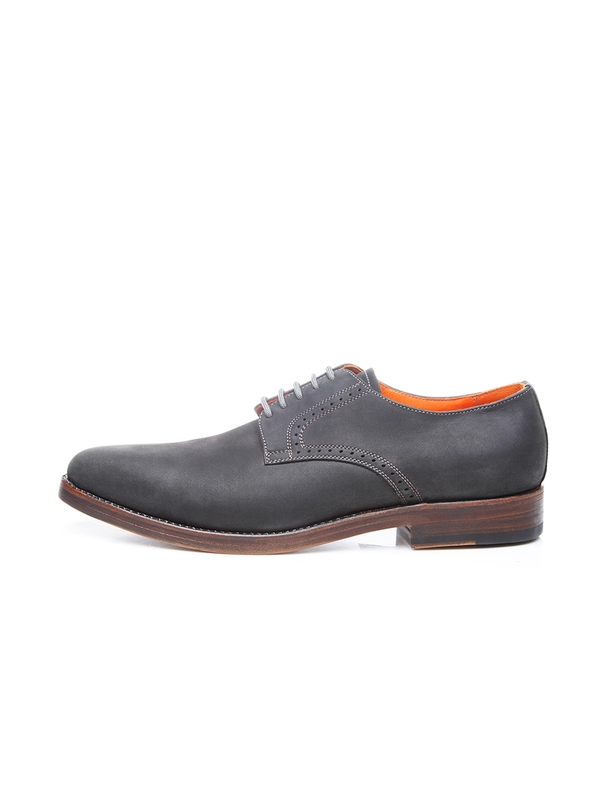 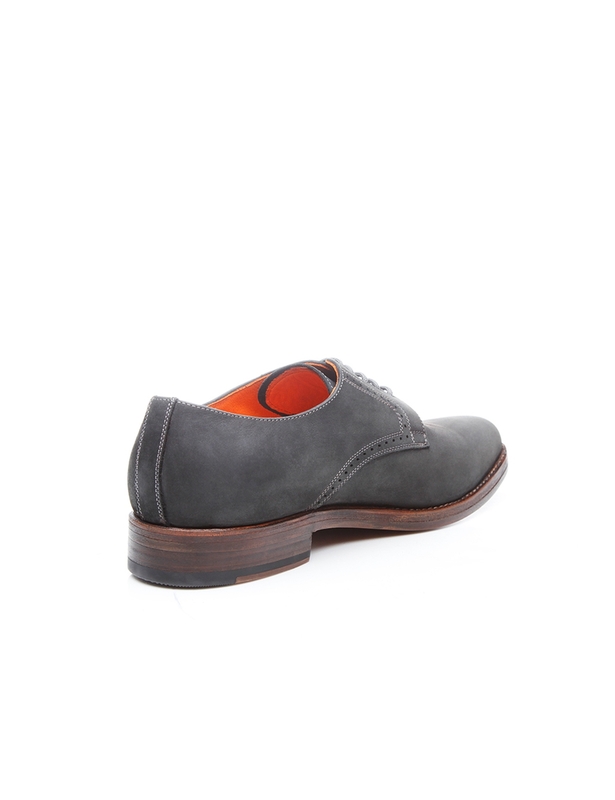 Meanwhile, this shoe’s lining and durable double sole are also made of leather. 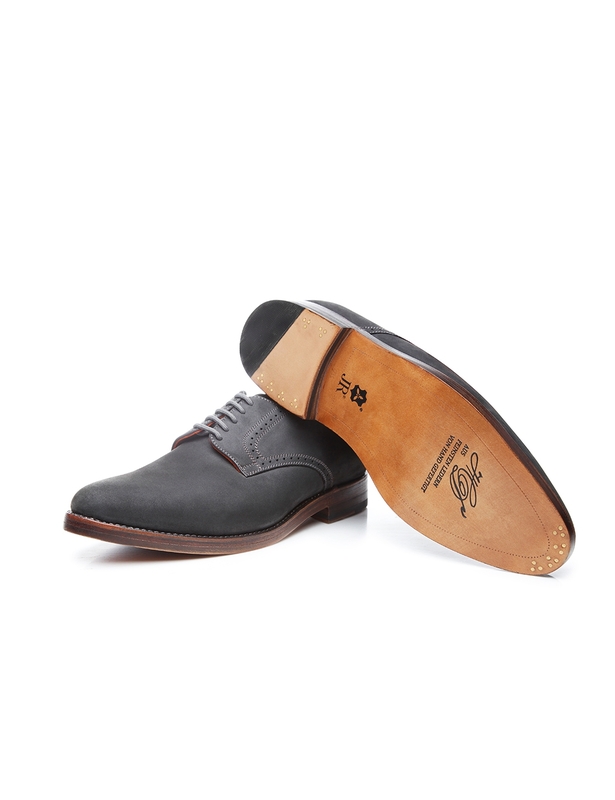 This model was assembled around a last that tapers slightly towards the front, making it perfect for average-width and narrow feet.